Why do you call yourselves ETHOS? Is ETHOS a registered corporation? What are the rules regarding paying for the training? What are the rules regarding rate quotes you give to prospective clients? Who may enroll in the ETHOS Programs? Your English program advertises that it is taught “by Americans” so why are Filipinos handling certain portions? How many different ESL study options are there? Is there a curfew at the housing facility? How much does the stay-in ESL program cost? Do you offer one-on-one (man to man) study options? Can I enrol even if I have no previous Japanese language study experience? Do you give certificate after finishing the course? How many different Japanese courses can I take? What is the JLPT exam I read about in the course explanation page? Why should I study the Japanese language? Why do you use the Bible as your only source of material for values and ethics? Wouldn’t it be better to use “other sources” in addition to the Bible? Why are there so many Bible verse references in your material? Don’t you think that expecting clients to go for 2 years is asking a bit much? How will we know that your values training program is working? What MEASURABLE RESULTS can we expect? Are you not teaching RELIGION in your material? 1. Why do you call yourselves ETHOS? In ancient times, the Greek word ETHOS meant CUSTOMS or HABITS! We chose the name ETHOS for our corporation because we are a service company that specializes in helping people change their habits. Our name is an acronym and stands for “Ethics To Help Others Succeed”! Everything we do is designed to help our clients become better people and make a positive contribution in the world around them. 2. Is ETHOS a registered corporation? Yes. ETHOS is registered with the Securities and Exchange Commission, the Bureau of Internal Revenue, with all other pertinent government agencies and we have a business permit from the Cebu City Government. We issue Official Receipts for all financial transactions. 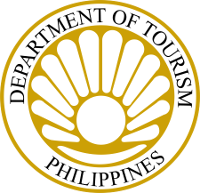 We are also registered with TESDA, the Bureau of Immigration, and the Department of Tourism. 3. What is the FOCUS of your business? The focus of ETHOS is to help people become better. We provide programs of training that help people better themselves. Our primary focus at present is on learning languages, but we have training programs that cover a wider variety of skills all of which will help people to be better able to do more for themselves, their companies, their families, and – ultimately – their communities and nation! 4. What are the rules regarding paying for the training? We have a strict policy. Customers living in the Philippines must pay at least 20% of the total cost before they can join a class. We must receive the full payment of any balance due within two (2) weeks of the first class meeting. Foreign students coming here to study must pay 100% of the cost before they depart their home countries coming to the Philippines. They must make a non-refundable down payment of 20% to make a booking. The balance of payment must be received within 45 days of paying the down payment, or else there will be a 5% penalty added to the total cost. 5. What are the rules regarding rate quotes you give to prospective clients? Generally speaking, any proposal or quotation from ETHOS is good for 30 days. Our rates are based upon various factors that fluctuate and so we need to change the price to adjust to those factors. Therefore, after 30 days, we reserve the right to revise the quotation. We offer discounts for groups of people enrolling at the same time and we occasionally offer special promotional package rates. Promotional packaged rates are only available for a limited time or for a limited number of seats and they are offered on a “first come, first served” basis. If you contact us for a quote during a promotional time and delay your enrollment until after the promotional period has expired, we can no longer give you the promotional rate. 6. Who may enroll in the ETHOS programs? Our programs are designed for people who have reached the age where they can read and understand our training material, and can successfully accomplish all of the required course assignments. Only students with these capabilities can gain any benefit from participation in our courses. As a general rule, unless we agree to special circumstances, this means that our students should be at least 15 years old to enroll in our programs. We will consider ANY request we receive, but we reserve the right to refuse training based upon the principles laid out above. 1. How many different kinds of ESL study options are there? Our ESL program has one basic course that is a combination of subjects of Reading, Writing, Pronunciation, Conversation, and Grammar. Students focus upon listening and reading (input) and then speaking and writing (output). We can accept students of all English levels. We assess students and then place them in LOW, MEDIUM, or HIGH groupings. Our teachers then scale our study material up and down to fit the needs of each level of students they have in the classroom. All classes start out with the basics and progress as far advanced as the students can go in the time they are with us. We also have study programs available for the preparation for taking different English examinations like TOEFL, TOEIC, IELTS, etc. 2. Is there a curfew at the housing facility? Yes, we do have a curfew. Students who stay in ETHOS housing are our responsibility. We are responsible to the Philippine government for the safety of our students. Since students of ETHOS need to be ready for classes each day, we impose a curfew of MIDNIGHT (00:00 AM). No student of ETHOS should be out after that hour without permission. If a student violates curfew, we reserve the right to expel you from the program and send you home, forfeiting any remaining training fee as a fine. As long as you remember that you are here at ETHOS to study and NOT to cause trouble, you will be fine. 3. How much does the stay-in ESL program cost? We have different study options and each different program carries a different cost. Contact us and tell us the options of study you would like, and then we will give you a quotation. 4. Do you offer one-on-one (man to man) study options? No, we do not. We do not have enough teachers for the number of students we have. However, ALL studies at ETHOS are designed to have no more than six (6) students in one classroom, and so you will be guaranteed to get a personalized instruction experience. 5. Your English program advertises that it is taught “by Americans” so why are Filipinos handling certain portions? IF the volume of students becomes too large we MAY have to let members of our Filipino staff handle some of the classes. It all depends upon the availability of American teachers at the time. If we have more students than American teachers then we may have to use some of our Filipino teaching staff members as English teachers. All of our English teachers, regardless of nationality, have been screened by our managers and will be qualified to teach. 1. Can I enroll even if I have no previous Japanese language study experience? Yes you can. There is no previous Japanese language requirement for enrollment in our study program. We are very happy to accept students with no knowledge of Japanese! There is also no upper age limit for our program and so if you are interested in learning Japanese. We have simple conversation courses, but we also have intensive studies for those wanting to learn Japanese for career enhancement. Our teachers are all skilled in the language and we also have Japanese native speakers studying English with which you can practice speaking your Japanese! Contact us and we will help set up a program that is right for you! 2. Do you give certificate after finishing the course? Yes, assuming that you successfully complete the requirements for the course, we will issue you a certificate. We can also provide a course description so that anyone who is interested will know exactly what was covered in the course and what that certificate represents. 3. How many different Japanese courses can I take? As long as you pay the course fee, there is no limit to the number of courses you can take. The only thing we suggest is that you take them in order of easiest to more difficult. 4. What is the JLPT exam I read about in the course explanation page? JLPT stands for the Japanese Language Proficiency Test and it is administered by the Japanese government in Japan and in many foreign countries. It is a standardized test to measure and certify the Japanese language proficiency level of non-native speakers. The test administered twice yearly, in July and December outside Japan. Training for these exams is scheduled to start early enough so students have at least 50 hours of classroom training before the exam date. 5. Why should I study the Japanese language? Knowing Japanese can bring many opportunities into your life. Aside from making more friends from Japan, if you know Japanese very well you can explore possible employment opportunities in Japan. There ARE many good paying jobs available for Filipinos, but you MUST speak Japanese well in order to be hired. 1. Why do you use the Bible as your only source of material for values and ethics? There might be many “sources” for values and ethics material available in the world today but we believe that the Bible is by far the BEST material available. The reasons are simple. The lesson points are stated in simple terms that anyone can understand. Many of the points are found within simple stories (called parables) which SHOW how the teaching relates to “real life” settings. It is the most widely known book in existence. And, of course, it is the only book that has God as its author. Its comprehensive, authoritative, easy to understand and apply, and everyone knows about it. What BETTER source of values and ethics material could we want? 2. Wouldn’t it be better to use “other sources” in addition to the Bible? Since the Bible gives us God’s answers and covers any and every possible “values and ethics” situation why do we need “other perspectives”? If “God’s perspective” is the only one that matters then we ALL need to focus our attention upon understanding and following what HE has to say about these matters? What does it matter if a certain person THINKS about this or that if he or she is saying anything different from what God says? And if all the people are doing is restating what God said first then why is it necessary to consider what they are saying? We feel it is best to put people into contact with the original material on the subject and help them figure out for themselves what that message is saying. Actually, we WILL use material in addition to the Bible. We plan to incorporate the company values and ethics policies of our clients into the material we will teach to their employees. That way, whenever we come to a point that is found in BOTH the Bible and company policy we can emphasize those matters so that employees will understand how important those matters are BOTH to God and to the company. 3. Why are there so many Bible verse references in your Values Program material? If a person creates study material by combining ideas from others it is customary to give credit to the original author. It is also customary to substantiate any points one might make. The usual way of doing this is by means of citations. Since the points we make in our lesson material come from God and the Bible it is just and fair to give credit to God when we make statements that are based upon something HE originally said. In addition, we want to give our students the ability to go and check the original words so that they can be certain that we are using those references within their original, intended, contexts. 4. Don’t you think that expecting clients to go for 2 years is asking a bit much? If you examine the problems we are trying to correct you will notice that the bad habits people have today are the result of “training” they have received from the world. This training has been ongoing since they were young children and they did not develop these habits “overnight”. 30 years of missionary experience has taught us that to cure unwanted habits there must be a change in what people know, which will bring about a change in their convictions, which in turn will bring about a change in action. It is a process and we believe that the BEST way to accomplish this is through constant exposure to the material over a drawn-out period. We COULD come in and have a “big event” seminar for several days in a row with all workers in attendance and good would come from it. However, “ningas cogon” would cancel out much of that good simply because it was too short to give the people a chance to think about what they are hearing and decide to change their convictions deep inside. Spreading the training out over months and months assures that the participants WILL NOT easily forget what they are exposed to because it will be continually and consistently before them. We believe that the problem we are trying to solve is like a disease in a person’s body that is difficult to treat; say, like tuberculosis! Why do the doctors give medication to a TB patient for 6 months or up to a year? It is a fact that the patient is no longer contagious after a few weeks of taking the medicine. It is because the germ that causes TB is very hard to eliminate and so the patient needs to take the medicine for an extended period not only to kill the germ but also to make certain it DOES NOT COME BACK! This is the same philosophy behind our values and ethics program. There really is no quick cure for the problems facing a business with values and ethics troubles. Our experience as missionaries shows that weekly “doses” of values material from the Bible, over an extended period, will not only correct the problem but also help keep it from ever coming back! This is the MAIN reason why our training program is 2-years in duration. Two other considerations are the work schedule of the employees and the operational output of the company. Taking each employee away from his/her wok related task for one hour each week (in staggered small groups) will NOT affect the business output significantly. However, more than once each week COULD possibly cause a drop in productivity. We do not want to cause productivity problems for our clients and we feel that once each week is sufficient because it will cause everyone in the business to think about the same things week after week. Considering the material we are using, if we do this for 2 years it will be almost impossible for there NOT to be a change for the better in the workplace! 5. How will we know that your values training program is working? What MEASURABLE RESULTS can we expect? Any time you are dealing with human behavior you are talking about a complicated situation. Behavior one sees on the outside of a person does not necessarily reflect what is going on deep inside the heart of the person. After all, to a certain degree, we are ALL “pretenders!” The only way to be certain that what you see really IS what lies beneath the surface is to bring about GENUINE change within the heart. This is extremely difficult to accomplish, but we believe NOT IMPOSSIBLE. Anyone who CLAIMS to believe in God will have a difficult time refusing this material. THIS IS A FACT WE HAVE TESTED AND VERIFIED WITH OVER 30 YEARS OF MISSIONARY EXPERIENCE! The key is getting everyone to stick with the program. The clients who hire us MUST do whatever it takes to keep the employees (through “insistence” if necessary) participating in the program through the duration. If they complete the program there WILL BE change. However, this statement brings out another truth, “You can bring a horse to the water, but you cannot make him drink!” Even IF we have the best program with the best material and a perfect timetable under perfect training conditions, change will only happen IF the participants CHOOSE to accept what God says and no matter how GOOD things are some might choose NOT TO ACCEPT God’s system of values and ethics. Unfortunately, there is NO WAY to predict and “measure” how sincere the trainees are outside of observing their behavior. Change in behavior will SHOW “success.” Absence of change will SHOW “failure.” This is a pretty simple concept. Therefore, how SOON after starting the program should this change be VISIBLE? As we look at the material and the mechanics of the program, the 6-month point presents a good “marker” for gauging where the participants should be. By our assessment, there SHOULD BE A NOTICABLE DIFFERENCE in the general atmosphere in the workplace at the end of 6 months. The problem will not be resolved completely but there SHOULD be PROGRESS! This is the reason for the 6-month “guarantee” clause in our contracts. If you – as our client – have done your best to keep ALL employees coming to their classes and yet you CANNOT SEE ANY CHANGE in the behavior of your workers then you can reassess the situation and end our contract! We will use various tools to chart the progress of each person in the program. We will give weekly outside assignments to all students. There will be periodic major exams too. We will grade these assignments and exams and the grades will be averaged and kept on file. These scores will help us determine if a student is keeping up with the points brought out in the material and we will do what we can to help those who are not doing well to do better. We can give reports on the grades and overall participation levels on each employee and/or class group in any form and at any frequency you desire. In addition, if YOU, as our client, have some suggestions regarding how we might better keep you informed please do not hesitate to mention them. We have won several awards for the quality of our service. You can trust us to do our best to consider and implement anything you want and do the job until we get results. 6. Are you not teaching RELIGION in your material? This is a fair question. Since we are using the Bible and since God is the author of “religion” you COULD say that we are in fact teaching religion. However, this is simple coincidence – because we have chosen to use the Bible as our source material. Nevertheless, we do not come into the classroom and talk about churches and religious teachings that differ from group to group. We will talk about things that are the same no matter what “church” one might be a member of. After all, “honesty”, “faithfulness”, “kindness”, and “love” – to name a few – are the same for all people regardless of what particular “church” or “religion” they might be a member of.